The concept of a growth mindset was developed by psychologist Carol Dweck. According to Dweck's research, a student with a growth mindset is far more likely to experience success than a student with a fixed mindset. As teachers, there are daily opportunities to cultivate a growth mindset in our students. To learn more about how to help students develop a growth mindset, sign up for our FREE e-mail course. By signing up for the course, you will receive lesson ideas and free resources delivered straight to your inbox. Sign up here! Every student has potential! Every student has the ability to learn and grow! We believe that the best way to teach students important life lessons is through stories, and the same is true for teaching students about growth mindset. The following is a collection of our favorite growth mindset read alouds. These read aouds are even more powerful when you combine them with hands-on STEM activities to reinforce the lessons. You can find activities for each of these books in our Intro to Growth Mindset Bundle as well as our Growth Mindset STEAM Bundle. Your Fantastic Elastic Brain teaches students about the different parts of the brain and how each part functions. This is a great read aloud to help students understand how the brain works and how it is able to grow as you learn and practice. Help students remember what they have learned about the brain using our Fantastic Elastic Brain Flip Book with this read aloud! If you are just introducing the topic of growth mindset to students, a good read aloud recommendation is The Girl Who Never Made Mistakes. This book is a great way to begin helping students understand that mistakes are not only okay, but that they actually can be used to help move learning forward. To reinforce this idea we have created a hands-on STEM lesson to accompany the book. Find the activity HERE. Vashti's story is very inspiring for students as they begin their journey with growth mindset. In order to reinforce the powerful themes in this book we have created a Growth Mindset STEM Bundle of activities centered around the main ideas in The Dot. 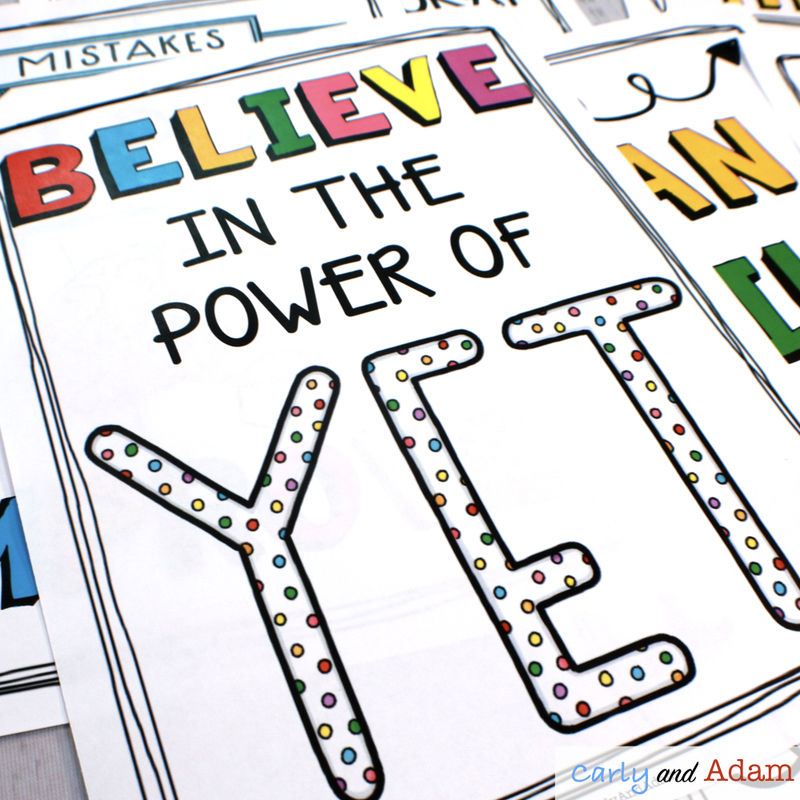 To learn more about teaching growth mindset with The Dot check out this blog post! In addition to being a great read aloud to teach growth mindset, Sky Color also reinforces creative problem solving. In the book, the main character, Marisol, wants to paint the sky for the library mural. Unfortunately, she doesn't have blue paint. In the end, she realizes that there are many different sky colors. Reinforce the theme of creativity in this story with your students using our Sky Color STEAM Directed Drawing. The story of Ish helps students understand that things don't have to be perfect. Even our best efforts sometimes turn out to be close-ish to what we had envisioned. In the story, the main character, Ramon, is crushed when his older brother is critical of his drawings. Fortunately, his little sister reminds him that things don't have to be perfect in order to be beautiful. Teach your students about the power of -ish using our Ish STEAM Directed Drawing. Giraffes Can't Dance follows the story of Gerald the Giraffe. Gerald longs to dance like the rest of the animals, but he is discouraged by what the other animals think of him as well as his own fears. In the end Gerald learns to dance to his own beat. Reinforce the power of growth mindset with your students using our Giraffes Can't Dance STEAM Directed Drawing. Keep in mind that the key to teaching growth mindset is consistency. In order for the growth mindset mentality to truly seek in, students require multiple exposures to the growth mindset principles through teacher modeling as well as a classroom environment that embraces mistakes and risk taking.